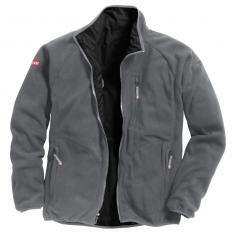 bonded micro fleece reversible jacket with 10 pockets Material: 100% polyester Machine washable up to 30 °C. Available in 7-10 working days. Only 4 left in stock. New 2017: The KRÄHE Easy Flex reversible jacket is a 2-1 jacket. 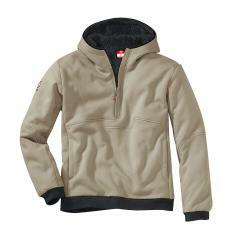 One side is made of bonded micro fleece for a warm wear. The other side is made of premium, cooling jersey. 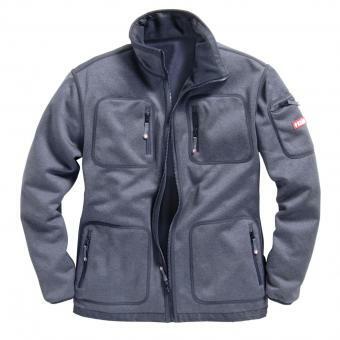 Each side has two chest and side pockets, which are closed with a zip. 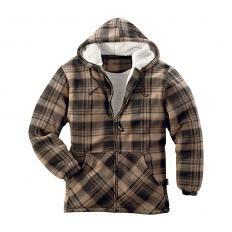 With drawstring on waistband for adjusting the width. 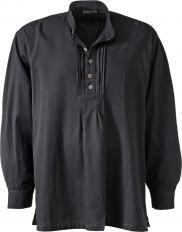 Easy-care fabric made of 100% polyester. Machine washable up to 30 °C.